Styling a shirt is probably one the harder feats in the world of fashion. Personally when I think of shirts, particularly white ones, I think of formal interviews and board meetings. So when I was offered the opportunity to work with Ralph Lauren, I really did have to think twice about whether I could pull it off. I’m just not a shirt person at all, so that can only mean one thing – challenge accepted! 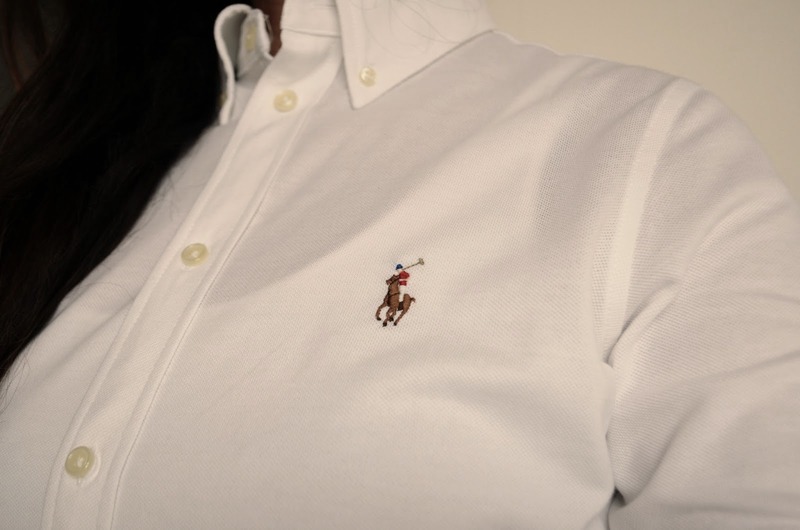 The shirt I opted to have sent to me was the Ralph Lauren Knit Oxford Shirt in white. This shirt is also available in pink and although pink might have been my immediate choice a few years ago, I decided to go for white due to versatility. The sizes range from XS-XL and there is a really simple chart to follow to work out just what size would work best for you. The shirt arrived in a navy blue box marked with Ralph Lauren on the top. If you’re thinking of gifting this to someone, I can definitely say that even the packaging will make them feel so special because I think I examined the box for a good half an hour before I even opened it. When I finally did open the box and took the shirt out I can tell you it was nothing at all like I had expected. There I was expecting a stiff cotton shirt that would make me look bigger than I am but it was the exact opposite. The oxford knit shirt is actually a hybrid inspired by two of their bestsellers. This means that yes it does look like a shirt but the feel and comfort of the material is that of a polo shirt. The also shirt has their signature logo embroidered on to the left of the shirt. The cut and tailoring of the shirt is lovely. It falls so nicely on my figure and my lumps and bumps are not accentuated in any way. I decided to style the shirt with a simple pair of dark blue jeans and tan boots. In regards to comfort, after wearing this shirt for my usual 10 hour day, I didn’t feel the need to throw it off as soon as I got in the door. The material, is so soft that the collar wasn’t irritating my neck at all either. One other major plus side to this shirt is that it doesn’t really crease when you’re wearing it. Huge bonus points if you’re a busy city girl like me. I did find that the shirt is really sheer, so you do need to wear something underneath if you’re not the daring, looking at my undergarms type. I wore a thin vest from H&M and that did the trick. 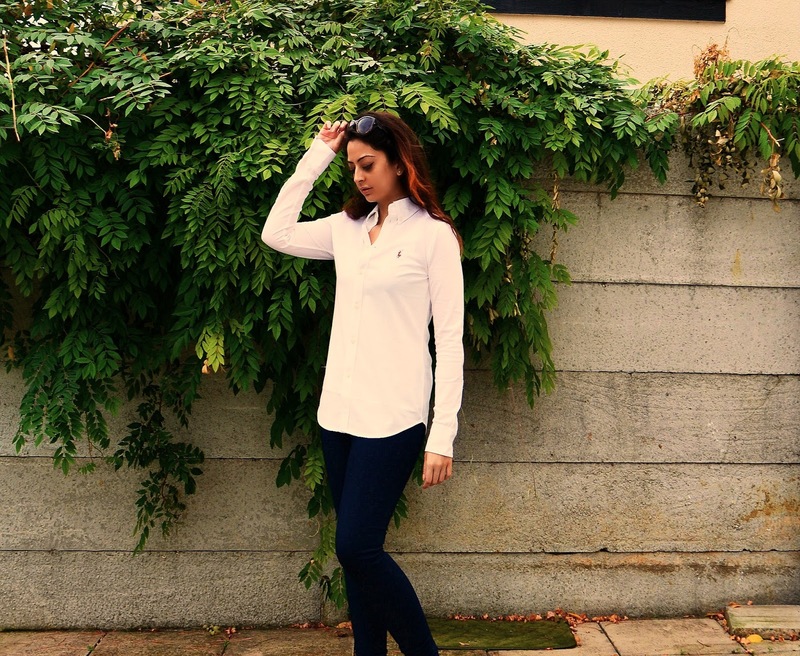 All in all, I feel like this shirt has been made with me (and other busy girls) in mind and would definitely consider buying more clothing from Ralph Lauren and dare I say it, perhaps even consider buying another shirt from them! I never thought I’d say it, but the shirt actually looks decent as casual wear! 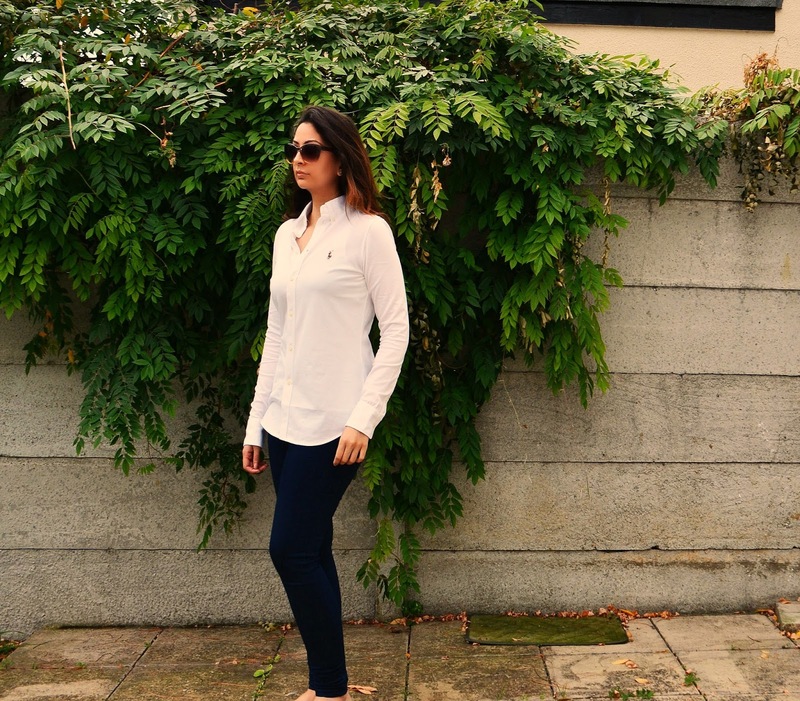 In fact, I’m loving the look and feel of the Knit Oxford so much that I will be doing another post over the next week or two about styling this shirt in a number of different ways because honestly it is beautiful. In retrospect though, from a high end brand like Ralph Lauren, I shouldn’t have expected anything less! 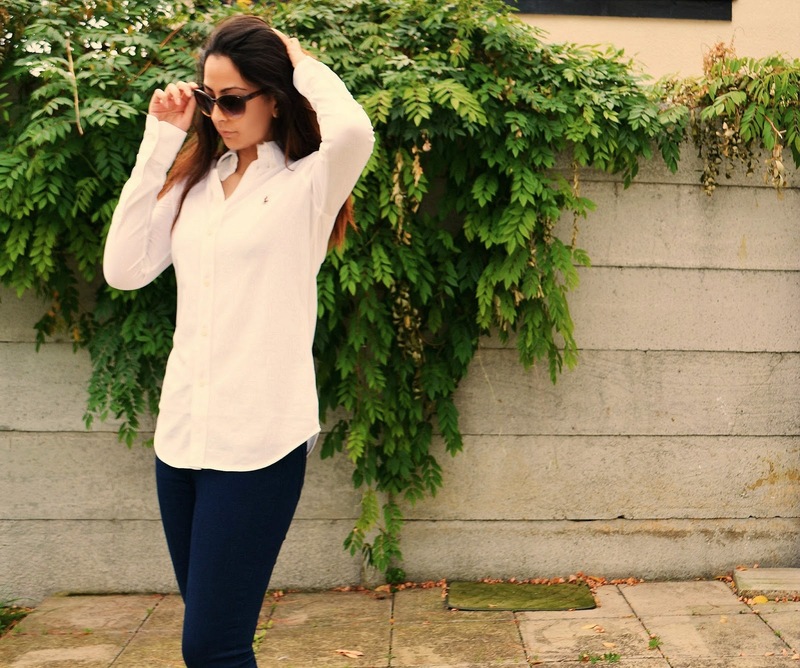 Check out their range of women’s shirts here.